Should You Use Paw Wax On Your Australian Shepherd? 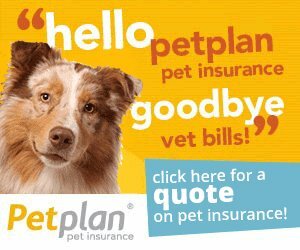 Home > Australian Shepherd Health > Should You Use Paw Wax On Your Australian Shepherd? Paw wax may not be something you've considered for your Australian Shepherd, but you probably should, especially if he spends a great deal of time outdoors, in either cold or hot weather. That's because the pads of a dog's paws, which come in contact with any number of surfaces while he's outdoors, are extremely sensitive and can easily be damaged. In order to prevent this kind of damage it may be necessary to apply a layer of wax for protection. 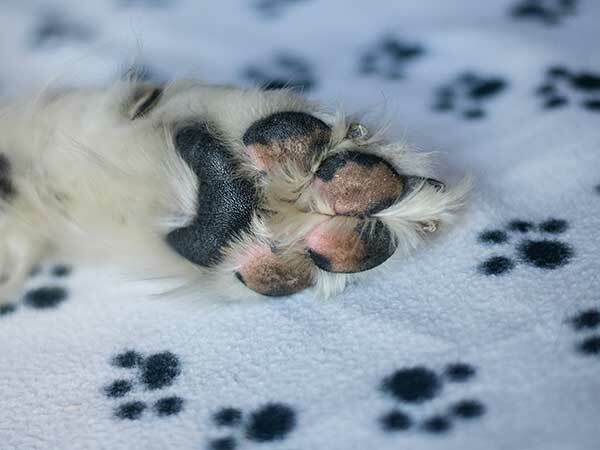 The pads of a dog's paws are the one area of his body that is not covered by fur. This leaves the skin on the pads open to the elements and to exposure to chemicals and other potentially harmful substances. Much like we need to apply moisturizers and barrier creams to our skin, it is equally important to protect the sensitive pads of the paws. This is true for all breeds but it can be a particular concern for working dogs like the Australian Shepherd that spend an unusual amount of time outdoors in many kinds of weather. In order to keep your pup safe and avoid cracking, tears and other signs of damage, you will probably want to invest in paw wax. There are many brands of wax available commercially (like these on Amazon) that are made from 100% organic materials so you don't have to worry about them being toxic to your dog. These waxes are designed to protect paw skin by lubricating and forming a protective shield over the pads. This way, the paws are safe from damage caused by hot pavement or sand, ice and ice melting salt. The moisturizing properties of the wax help to prevent abrasions, burning, drying and cracking and can even help to heal and repair wounds. Wax can be used for all sorts of outdoor activities including mushing, hunting, walking, or working. To properly apply the wax you should follow the instructions on the packaging but in general, you can take a small amount and spread it on your fingers, then apply it evenly across your dog's paws and between his toes, making sure to cover all areas of exposed skin. While this will provide protection, it can also help to improve traction on slippery surfaces such as ice, although non-slip dog boots are still recommended for the best possible traction. Again, there are many types of wax available but one of the most popular is Musher's Wax, which is made from white and yellow beeswax, Carnauba, Candelilla wax, vegetable oils, and Vitamin E. While it is possible to make your own wax using 2 parts olive or almond oil, 2 parts coconut oil, 1 part Shea butter and 4 parts beeswax, it is really not necessary as most of the commercially produced waxes are made from similar ingredients and are quite affordable. The weather can take a real toll on your dog's sensitive paws so it's up to you to help avoid the damage caused by exposure to the elements. With paw wax such as Musher's, you can provide your dog with the protection he needs and give yourself peace of mind knowing that he'll be safe no matter what the weather. Apply a thin coat of wax to your dog's paws and he'll be able to walk and run easily, work hard and just enjoy the great outdoors.